Lebanon Prime Minister-designate Saad Hariri is expected to meet with President Michel Aoun in the coming 48 hours to present him with the Cabinet lineup, Lebanese media reported on Sunday. He ruled out the possibility of last-minute snags similar to those over the LF demand for the Justice Ministry that had thwarted the announcement of a Cabinet lineup nearly two weeks ago. 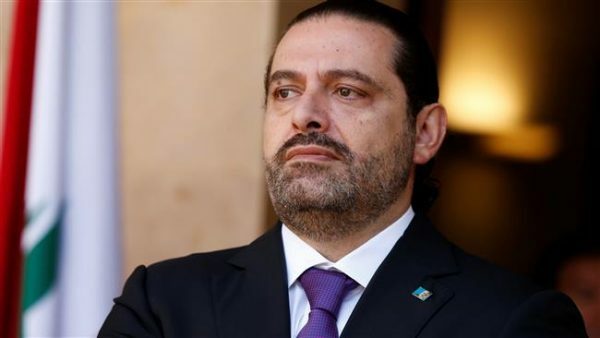 During one of his meetings with caretaker Information Minister Melhem Riachi last week, Hariri was reported to have offered the Lebanese Forces four posts: The deputy prime minister’s position and the Social Affairs, Culture and Labor ministries. An extraordinary meeting in Maarab at noon Monday that will be chaired by LF leader Samir Geagea is reportedly expected to discuss “latest developments in the Cabinet formation and take the appropriate stances on participation in the cabinet ,” a statement from Geagea’s media office said Sunday night. LF’s deputy leader MP George Adwan was quoted as saying , in an interview with MTV that the possibility of the LF staying out of the new government exists. “There is a high possibility that the Lebanese Forces will not participate in the government,” he said. Emboldened by the results of the last parliamentary elections in which it nearly doubled the number of its MPs from eight to 15, the LF has been demanding a significant Cabinet share. The LF and the FPM have been embroiled in a fierce struggle for five months over Christian representation in the government. Hariri stressed that there would be no losers or winners in the formation of the new government. “With this [Cabinet] formation, no one stands to lose. Everyone has sacrificed for the sake of the country. On this basis, the aim is to form a national unity government or a national entente government in which all the parties participate in order to meet challenges facing Lebanon,” he said. MTV news channel reported that Hariri asked Berri to give up the Agriculture Ministry so that it can be allocated to the LF. A political source said Berri insisted on retaining the Agriculture Ministry, currently held by caretaker Minister Ghazi Zeaiter, a member of the speaker’s parliamentary bloc. Hariri was tasked with forming the new government on May 24. His mission was hampered by political wrangling over shares, especially because Aoun insisted on a presidential share in addition to the share of Free Patriotic Movement which he founded prior to becoming the president. Maronite Patriarch Beshara Rai commented on the Cabinet crisis, by saying that all the main political parties should be represented in a national unity Cabinet. He appeared to oppose the LF’s exclusion from the next government. “If they are talking about a national unity government, this means that it includes all the political parties that will be represented in it. Or else, we cannot call it a national unity government,” the Maronite patriarch told reporters at Beirut airport upon his return from Rome after a pastoral visit to Canada. Last week, we wrote that Saad Hariri’s earlier hesitation in forming a new government in Lebanon was the result of his waiting for a call from Saudi Crown Prince Mohammed bin Salman, which we assessed was not likely to come, as the crown prince was preoccupied with the international outcry over the murder of Jamal Khashoggi on Oct. 2 at the kingdom’s consulate in Istanbul. So much for that. The call came from the crown prince, commonly known by his initials MBS, and Hariri came running to his patron’s defense. As leaders from around the world dropped off from taking part in the Future Investment Initiative Forum in Riyadh last week to avoid a photo op with MBS, Hariri appeared on a panel with the crown prince and even allowed himself to be the recipient of a wince-inducing ribbing from his host, who assured everyone that “Prime Minister Saad is staying in the kingdom for two days so I hope you don’t spread rumors that he was kidnapped,” because he could leave after the conference. Hariri replied, “with all my freedom” to the joke and laughter from the room, showing that he and MBS were friends till the end, no matter the incriminations over Khashoggi’s murder, or even Hariri’s own mistreatment last year, when he “was verbally humiliated and beaten, according to eight Saudi, Arab and Western diplomatic sources,” Reuters reminded us this week.